Every December the board wants to say thank you and show their support for our phenomenal members of AACWP! 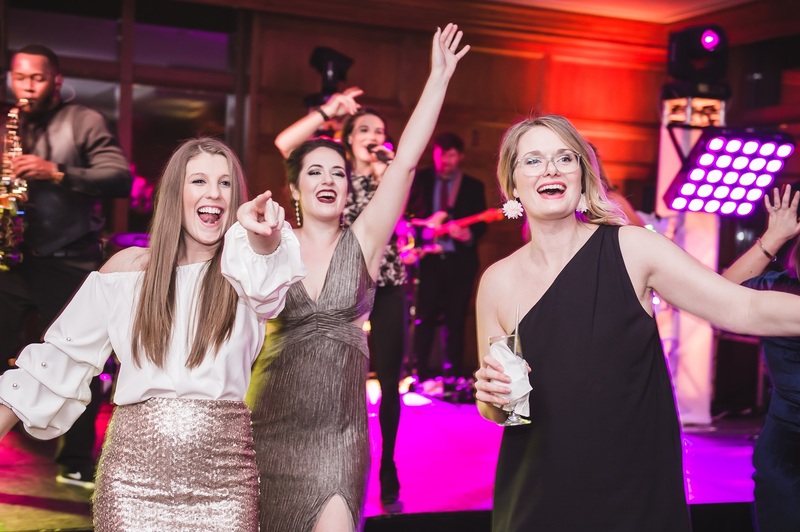 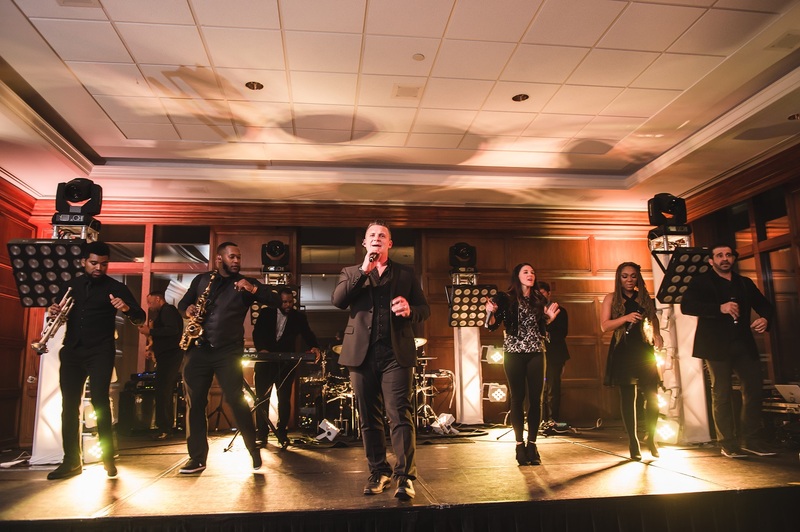 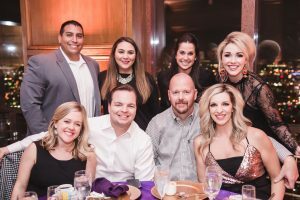 There is no better way to recap and CELEBRATE all of our members' accomplishments at the end of each year than showing them a good time with great food, drinks, and entertainment. 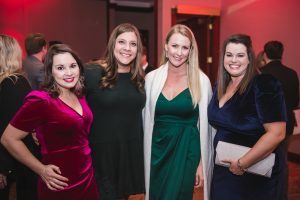 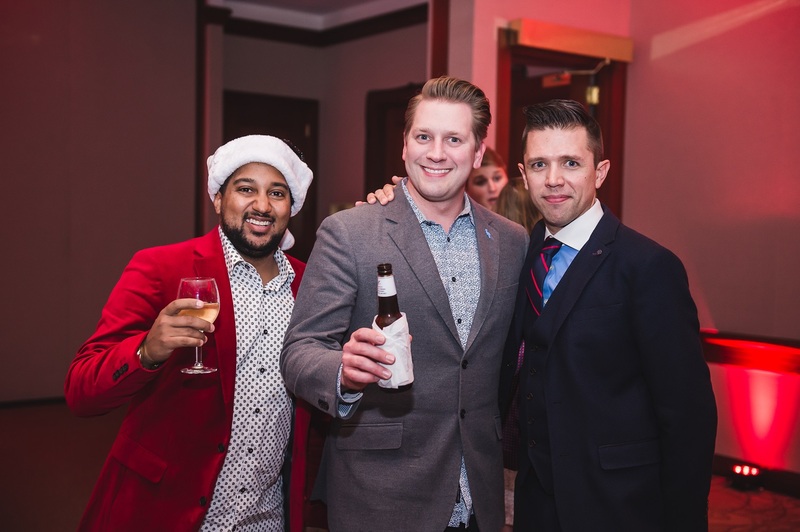 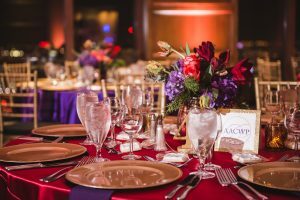 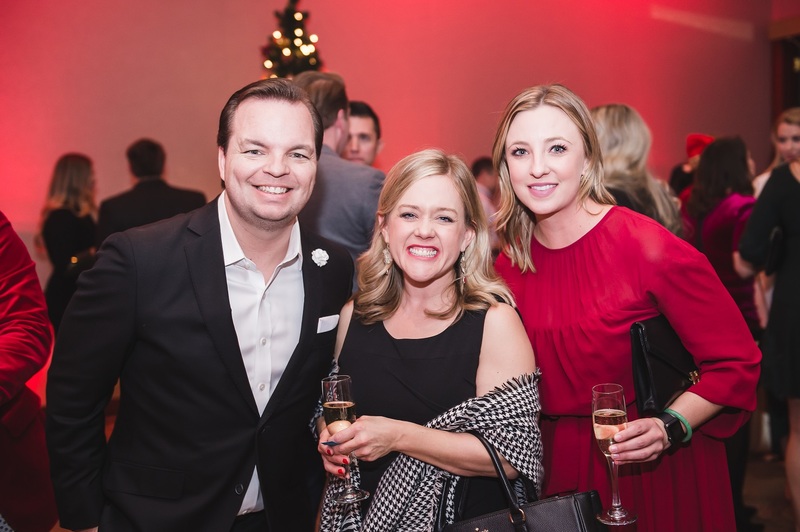 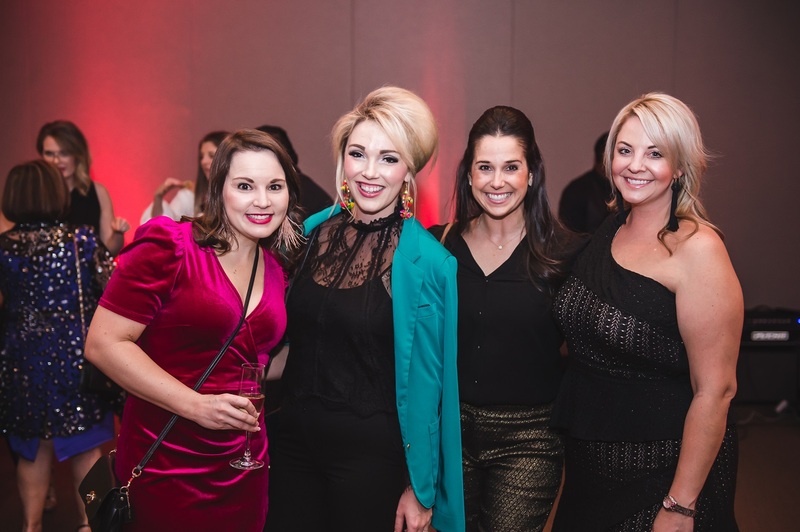 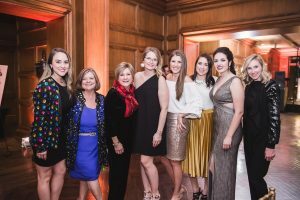 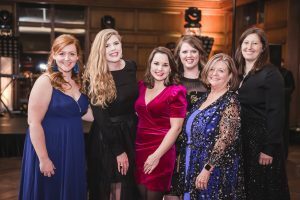 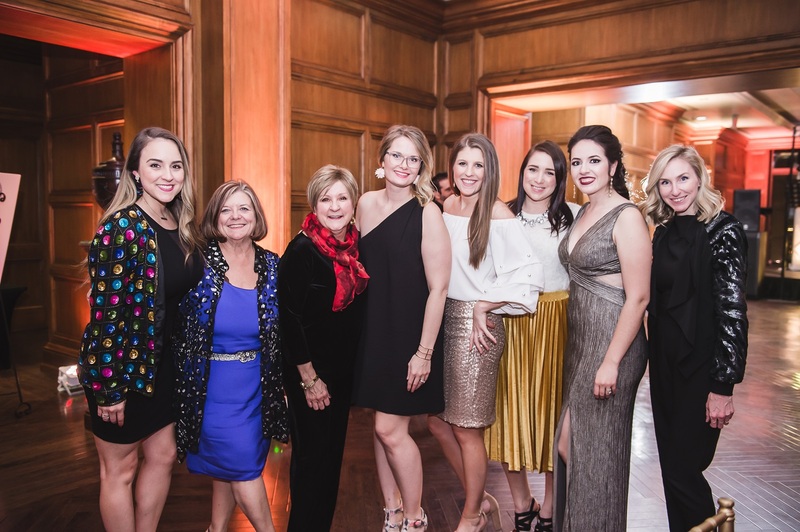 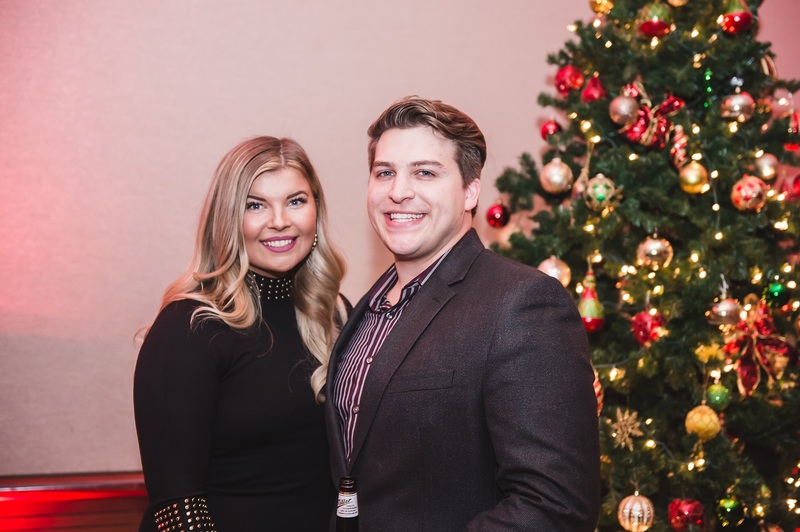 Celebrate 2018 attendees enjoyed a night out in the heart of Dallas at the beautiful City Place Events. 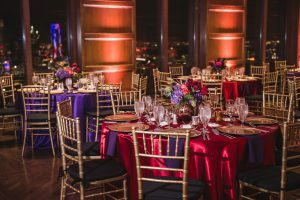 Cocktails and entertainment began in the lower atrium for members and spouses dressed in festive and holiday evening attire. 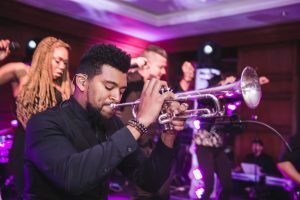 After cocktails, everyone rode up to the 42nd floor club for dinner and a surprise performance by the fabulous Intensity Band! 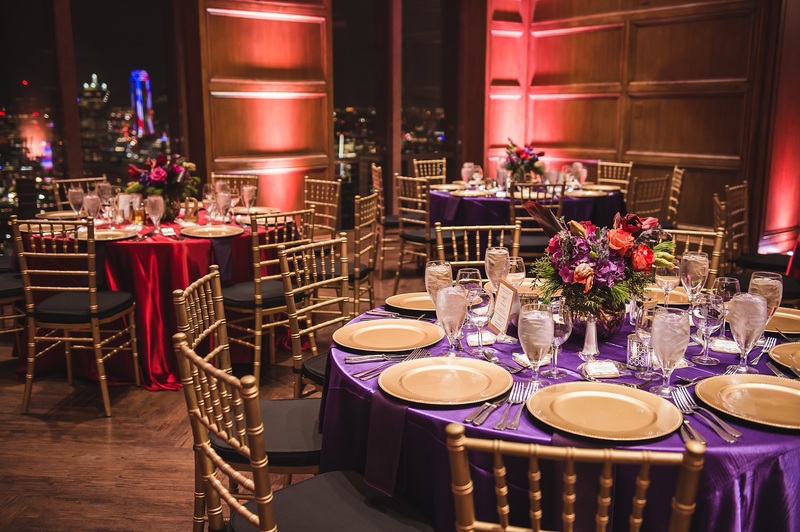 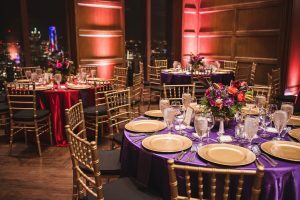 The club was the perfect setting for dinner and drinks with the big beautiful windows overlooking the stunning downtown Dallas skyline. 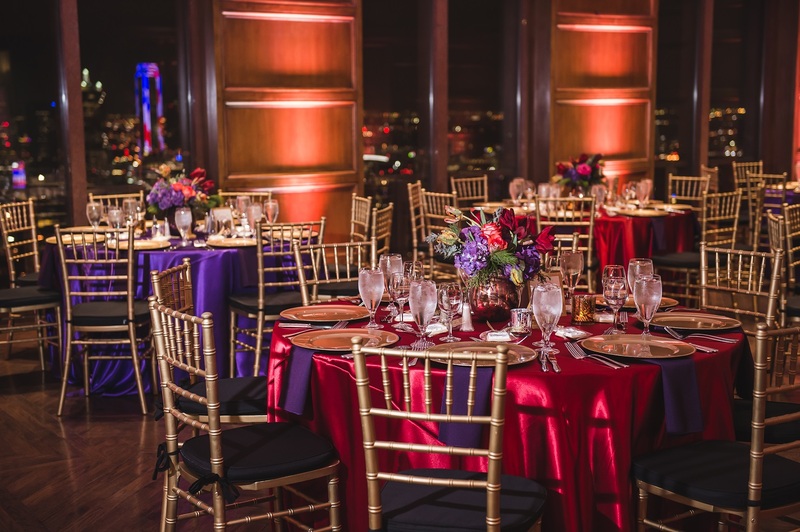 The Grand Bar and rich wood decor set the tone along with beautiful table settings. 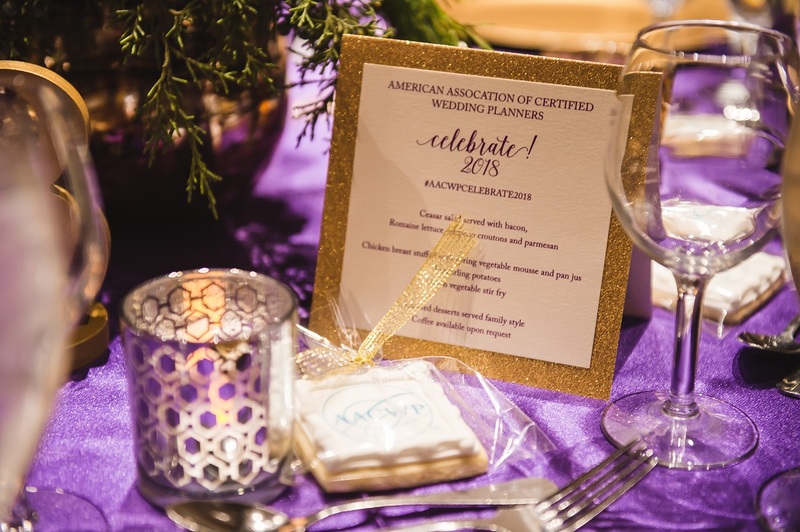 A delicious dinner was served amid acknowledgements for members for reaching special milestones throughout the year. 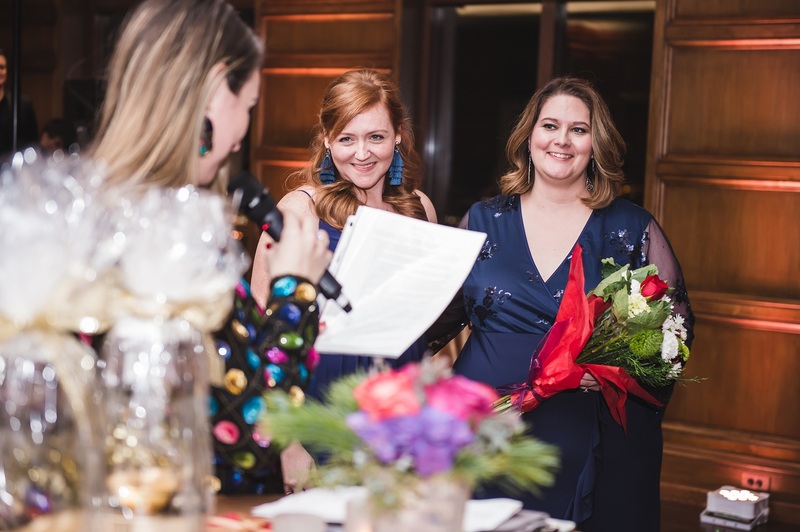 The 2018 board gave way to the new 2019 board and we all shared in the thanks you and meaningful speeches given in honor of our now past president Wendy Kidd who served for six dedicated years. After the bittersweet moments in honor of our fearless leader, dinner continued and raffle prizes began! 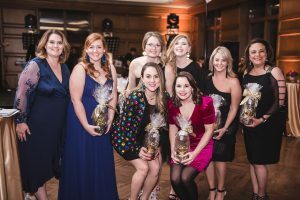 Our members and special partners gave generously to reward everyone for their efforts in 2018. 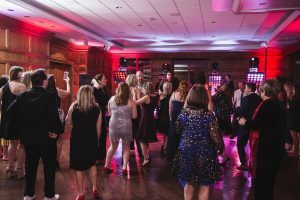 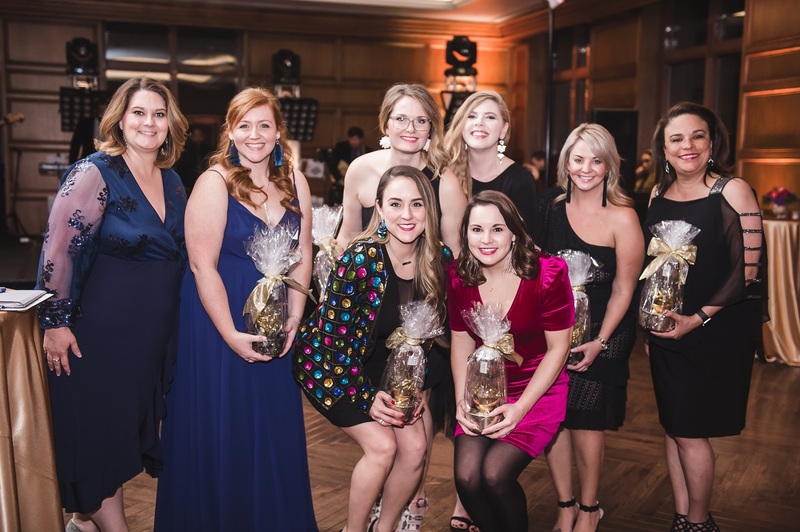 Some members left the evening with some fabulous prizes such as overnight stays at local hotels, dinner for two at some of the best fine dining in town, hair and makeup sessions with some of our favorite artists, and much more! Post dinner our members had a fun evening dancing the night away to the always amazing sounds of Intensity Band. We are so grateful for our amazing members and vendor partners! 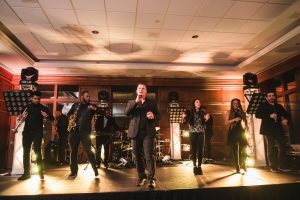 See you at CELEBRATE 2019.